MPs are calling for tougher targets for cutting water leaks, after figures showed a “shocking” three billion litres are lost each day. 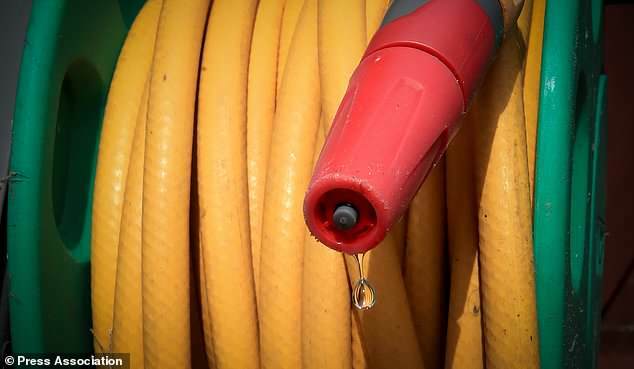 Water industry targets to reduce leakage by 15% by 2025 are “not ambitious enough”, said the House of Commons Environment Committee. Pressure on companies to act should be increased by bringing forward from 2050 to 2040 the goal of halving the amount of water lost, said the committee in a report. The report also backed new powers for water companies to introduce compulsory metering, even though it could lead to “significant” bill increases in some areas. The cross-party committee warned that drought summers like 2018 are likely to happen more often in future, increasing the need for resilience in the system. And it highlighted recent figures from industry body Water UK which found that 9.3 cubic metres of water were leaked per kilometre of water pipe in England and Wales every day in 2017-18, some 3.183 billion litres or the equivalent of 1,273 Olympic swimming pools. Committee chair Neil Parish said: “Water leaks affect the environment, as the more is leaked, the more must be taken from our rivers and other natural sources. “It also sends a poor message to the public about the value of water when people are being encouraged to save water. At present, only companies in regions designated “water-stressed” are allowed to make metering of water consumption compulsory. But Mr Parish said: “We need to move beyond a regional approach to water metering, because there is a national need to conserve water. “We call on the Department for Environment, Food and Rural Affairs to allow all water companies the power to implement compulsory metering. “That way, companies have the same tools at their disposal to reduce consumption of water in their regions. The committee also suggested that water regulator Ofwat could alter its complaints system so that companies are required to pay an automatic fixed sum if they fail to resolve gripes within 15 days. And it called on the Government to commission an independent review of the industry and its regulation, warning that the current regulatory system in England and Wales has become “very complex” and may be inhibiting long-term planning. Water UK chief executive Michael Roberts said: “The committee’s recommendations highlight the impact of climate change and a growing population on managing water resources, challenges which water companies are working hard to address. “Leakage is a big priority for the industry. “But we also know there is more to do, which is why water companies have proposed the most ambitious leakage reduction programme in 20 years and are looking ahead to even further long-term reductions. “The Committee rightly highlights that we all need to use water wisely. A Department for Environment, Food and Rural Affairs spokeswoman said: “The Government has made clear the water industry must raise its game. “We want companies to invest more, reduce leakages and help customers to become more water efficient, including through metering. “Water companies are starting to rise to this challenge. The Environment Secretary has been clear that we will support regulators to secure a sustainable water supply for the future.